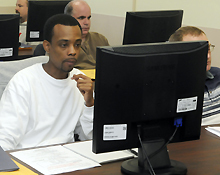 Higher education is an essential part of a healthy career both in the military and beyond. Living overseas can present an excellent opportunity to pursue your higher education goals. If you are just getting started, working on your college degree or completing a certificate program; there are many resources available to help you attain your goals.